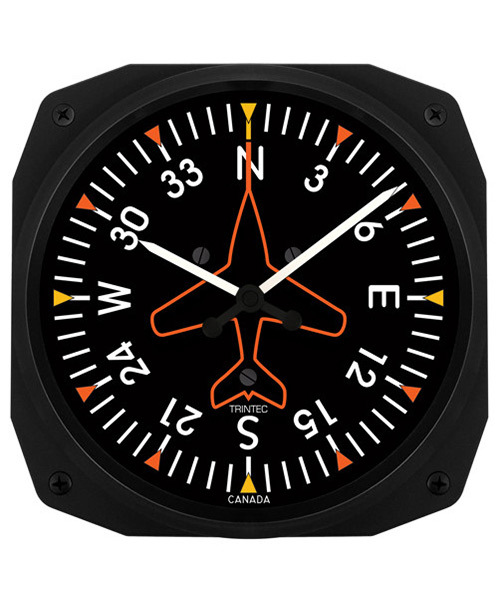 The square Directional Gyroscope Clock is a great gift item for any pilot or aviation enthusiast. This wall clock is based on the directional gyroscope instrument and features quartz clock movement in a high impact Polystyrene case and lens measuring 10" x 10". This clock requires one AA battery that is not included.